A 500 percent hike in the property tax assessment for the Warehouse arts venue may force it to move. (By Mark Finkenstaedt For The Washington Post). The process of planning is called "rational planning," but the process of producing legislation, probably at any level--city, county, state, and of course the federal government--too often seems to be disconnected from addressing the fundamental "problem" driving particular concerns. Rather legislation appears to be driven by a more personal response to concerns and issues, and as a result too often focuses on what is more likely to be the "symptom" of the problem, rather than the fundamentals. For a couple years I have been testifying and writing about the problem of how commercial properties in traditional commercial districts are assessed for property tax purposes. The City values properties as if they could be sold and converted into office buildings. In DC, it's even worse because property values across the city are shaped by the value of buildings in the Central Business District. The market for property there involves national and international actors with access to big money. This ends up shaping the assessment values of commercial property across the city, in ways that are deleterious to commercial district revitalization. -- Globalization of the DC real estate market catches neighborhood commercial districts up in the wake. We also have this problem with residential property. DC property is in great demand, plus there is a fair amount of speculator involvement as well as a goodly number of purchases by people who want a second (or third) home, a problem faced by other cities in high demand because of their beauty, such as Charleston, SC, where significant numbers of houses in the main historic district are owned by nonresidents. This boosts prices. The other problem is that assessments are based on theoretical current value, and are not tied to either the ability to pay by the property owner, or whether or not the house is even available for sale. For people of limited means, this "encourages" displacement. But for people who aren't experiencing massive regular salary increases--meaning most of us--this is a real problem, one that needs to be addressed. Councilmember Jack Evans keeps proposing property tax reductions, as discussed in this article from the Post, "Tax Cuts Weighed To Retain Residents," subtitled "Report Says the Rich Would Benefit Most From D.C. Proposals." Hmm, that subhead indicates that the untargeted tax cut proposal isn't really addressing the fundamental problem faced by residential property owners. For commercial properties in traditional commercial districts, it's not a tax cut that is needed, it's a rearticulation of how properties are valued by the tax office. 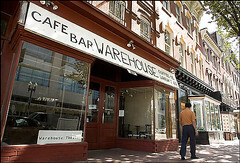 Just the other day, the Post reported, in "Warehouse May Seek New Arts Space," subtitled "Owners Weigh Relocating This Summer Because Of Steep Tax Increase," that the Warehouse Theater "complex" on 7th Street NW has received a 500% increase in their property tax assessment. Did their profits and revenue go up 500% over the last year? Probably not. This is another example of why the commercial property tax assessment methodology for properties in traditional commercial districts appears to be flawed. Another example is from Takoma Park. Unfortunately, Milton McGinty is kind of a wack job, and won't sell his theater to an organization that cares. He instead proposes to tear it down and build condos--because his tax assessment keeps going up. 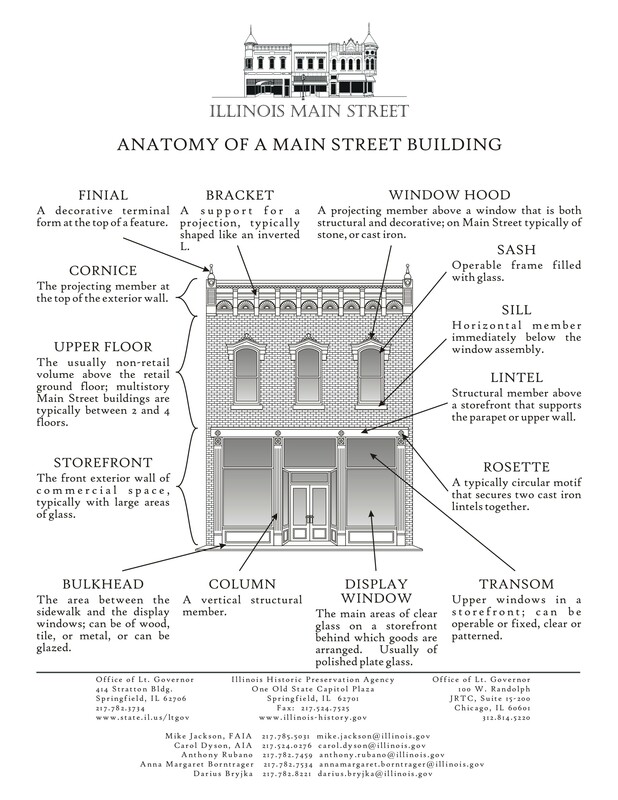 To keep the building as a theater naturally limits its revenue potential. Shouldn't that also "naturally limit" its tax assessment? 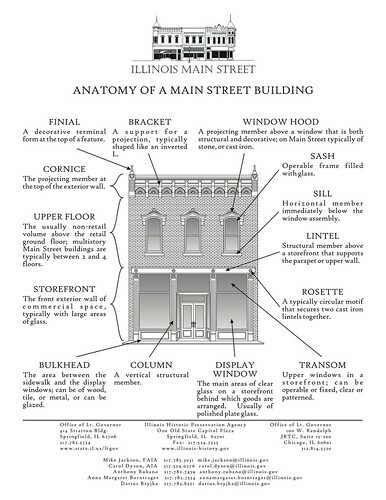 See "Owner plans to dismantle theater if there's no buyer" from the Washington Business Journal, for more detail. Joanne S. Lawton/Washington Business Journal. Takoma no mo’? 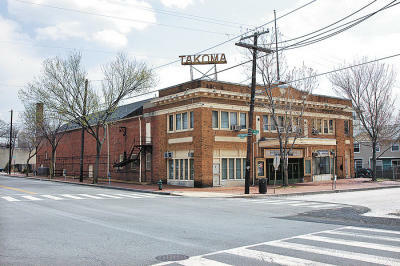 The owner of the old Takoma Theatre building in Northwest D.C. is battling historic preservationists over the future of the ailing structure. How many examples of this problem do we need? Why is it that the fundamental problem isn't being addressed, even though it keeps getting pointed out?